Enjoying The Shire With Kevin | Miguelito's Little Green Car. We are all connected. He’s enjoyed a range of opportunities in life and is on his fourth career. All of his vocations have been centred on the theme of working with people or systems in conflict, trying to help them resolve conflict constructively. J.R.R. Tolkien and The Hobbit and The Lord of the Rings. 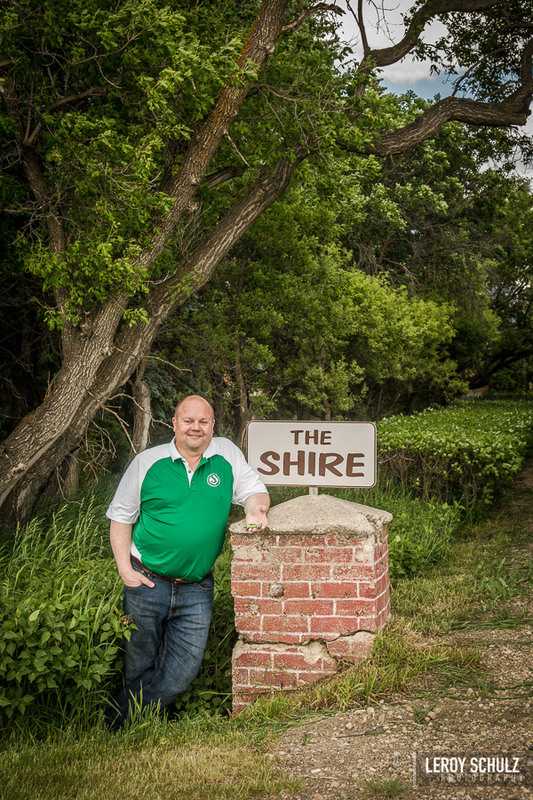 Their farm is legally registered as The Shire. He and his wife’s personalized licence plates are HOBBIT and BEORN. One of his future goals is to become accomplished enough at astrophotography that he can make a video or slide deck of other galaxies and set it to music. The song would be the beautiful song Andromeda from Connie Kaldor’s latest album. They have two cats, Merry and Pippen. They lost our dog, Sam Gamgee, a few months ago. Every animal they’ve ever had on their farm has been named after a Tolkien character. His love of skiing has progressed from an interest to a passion to an obsession. He has his ski instructor’s certificate and does as much volunteer teaching as he can. They are passionate Saskatchewann Roughriders fans. In 36 years as season ticket holders Kevin has only missed seven home games! He has on his bucket list a goal to watch the Riders play in every stadium in the CFL (they only have a couple left to go) and to one year watch every home and away game. A significant portion of his work has been with First Nations. In 2005, he was designated as Queen’s Counsel for the Province of Saskatchewan.